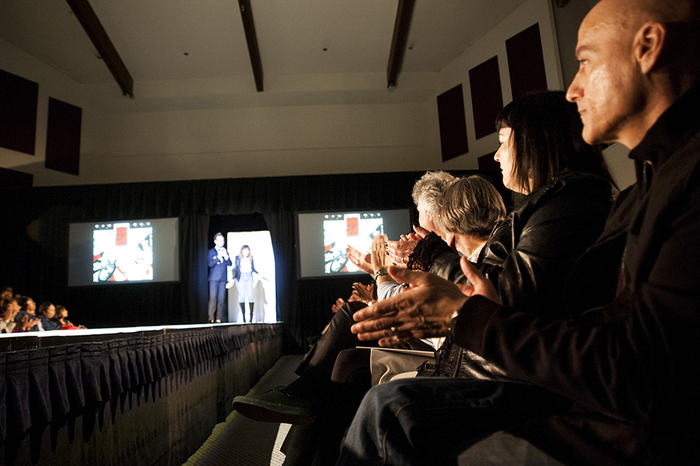 Fashion show attendees watch models showcase the hard work of apparel design and merchandising students. Photo by Ruth Saravia. 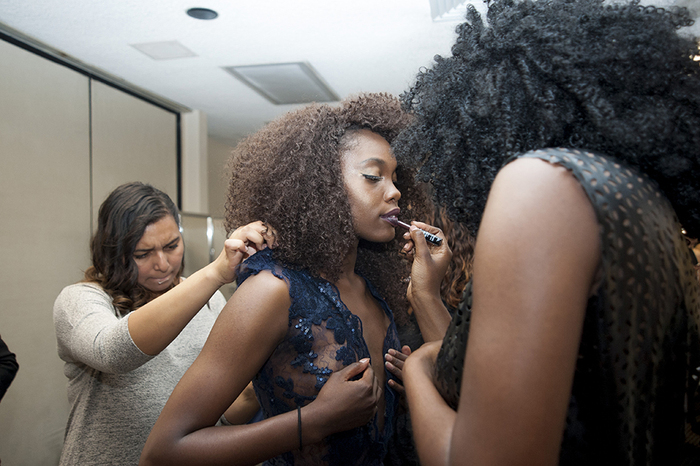 Students prep a model before she steps out on the runway. Photo by Ruth Saravia. 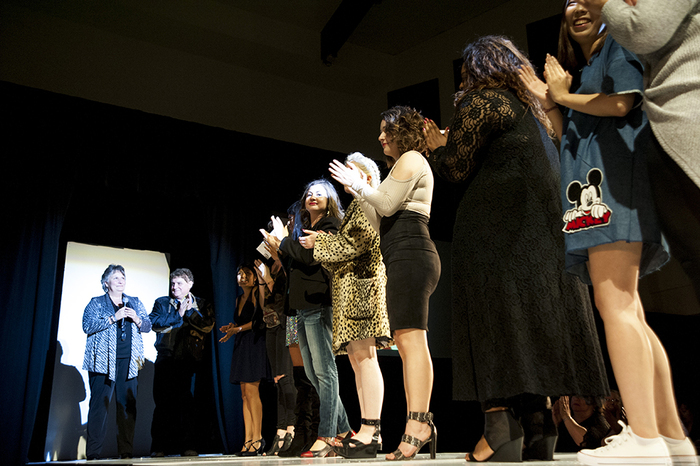 A crowd applauds the work of students who put on this fashion show and designed the garments featured on the runway. Photo by Ruth Saravia. 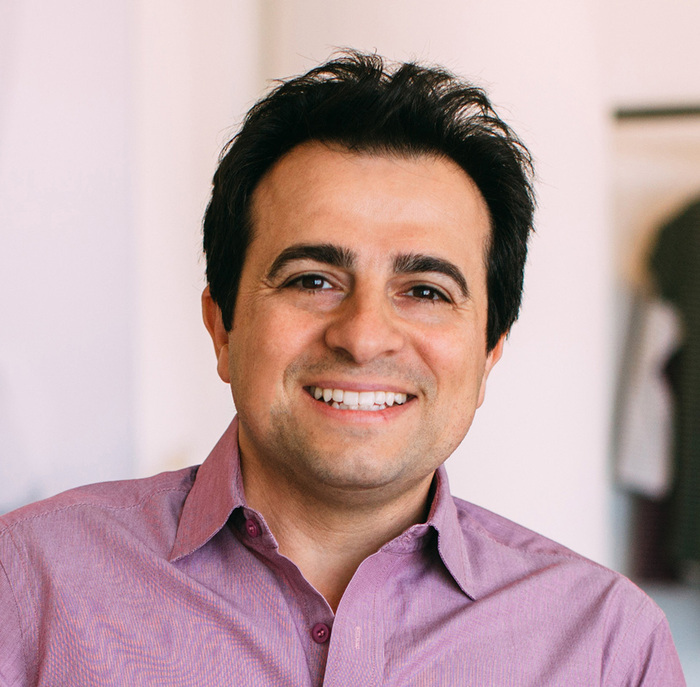 AIMS 360 CEO and CSUN alumnus, Shahin Kohan. Photo courtesy of Henry Cherner. 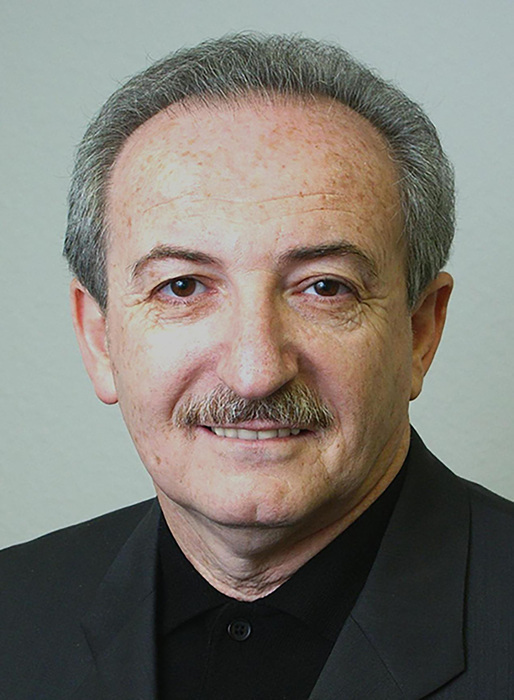 CSUN alumnus and Managing Partner of AIMS 360, Henry Cherner. Photo courtesy of Henry Cherner. California State University, Northridge apparel design and merchandising students will present the 38th annual TRENDS Fashion Show at 6 p.m. on Sunday, May 7, at the University Student Union (USU) Northridge Center. Titled Transcendent, the fashion show allows the community to see the outfits CSUN student-designers have created. The show is hosted by TRENDS, the CSUN Apparel Design and Merchandising Program’s student organization. The fashion show will have three winners — placing first, second and third. Judges have three criteria for which participants will be awarded points: creativity, pattern and construction and trend awareness and marketability. Winners are decided based on who accrues the most points based on these criteria. Similar to past fashion shows, Transcendent has a large list of supporters. Among this list is CSUN alumnus and managing partner of AIMS360, Henry Cherner ’72.Cherner will provide Apparel Information Management Software (AIMS) 360 certification to all three winners of this year’s fashion show. AIMS360 fashion industry management software provides features like centralized inventory control, customer management, billing of materials, cost sheets and order processing specifically for fashion-oriented businesses. The CEO of AIMS360, Shahin Kohan ’02 (Computer Science), is also a CSUN alumnus, which is one reason Cherner is donating the software certifications. Cherner also hopes to provide students with the practical, business and professional knowledge necessary to succeed in the fashion industry. This event is open to the public. Tickets for Transcendent can be purchased at the Associated Students Box Office located at the USU. Tickets are $15 for students with CSUN ID and $20 for general admission.